ATTiny 85 is a programable microcontroller which is actually used in the smaller version of Arduino. If you search on Ebay, Amazon you will find that they costs lesser than $2 per piece. 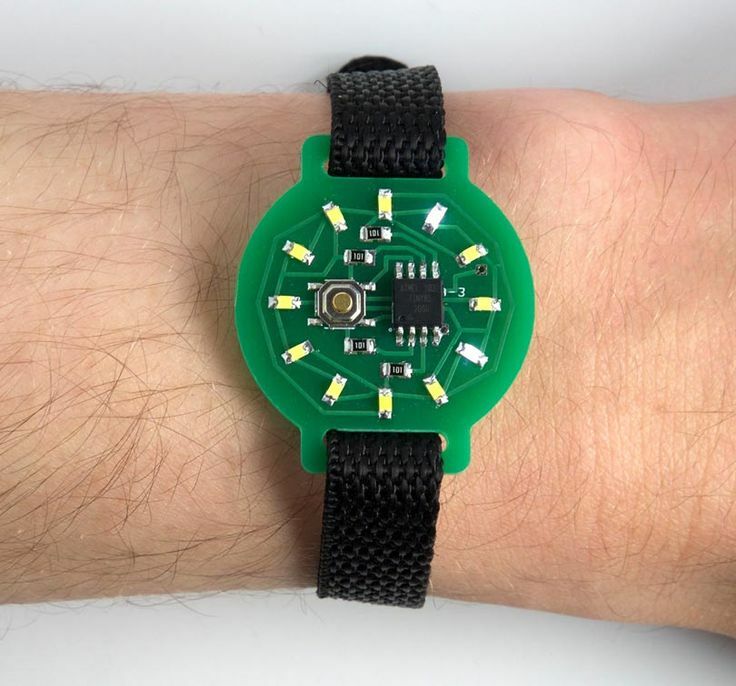 It is obvious, we made a list of components for creating bigger Arduino compatible LED watch with $8. Electronics is really cheap. Those official Arduino boards are development boards and not intended for real life usage. Making the whole thing is electronics, buying the shields is for getting started. Here is how to plan and create own ATTiny 85 Arduino based wearables with SMD basic electronic components at very cheap budget at home on PCB. On our list of things to buy for Arduino IoT project, we mainly talked about the basic important matters. BUT, remember, those guides for hardware part are old through-hole technology components, not for SMD version of ATTiny 85. At this point, first you need to know how to burn Arduino bootloader on SMD ATTiny 85. You can perform search or ask on various question answer website like Stack Exchange Electronics. Again, their hardware is of old through-hole technology components, not for SMD. The difference is practically very less, like matter of power consumption and tolerance, suitable hardware to program. Now if you add a display and an 3G or LTE SIM card module with that ATTiny 85 Arduino based wearable, it becomes an advanced IoT project. All you need to know is the circuit diagrams and of course what components needed. That watch will not cost more than $30. I hope this guide will give an idea to the users who get confused with lot of promoted boards, modules. This Article Has Been Shared 2781 Times! Tools For DIY Electronics & Electrical Projects is a Need To Build Enclosures and Other Practical Things. Here is Rotary Tools Buying Guide. Here is a Starter Guide For Your Raspberry Pi Car Project in DIN Slot. Many Technical Matters Around Car Need To Be Known For Complex Project. Wire Wrapping Makes Components Reusable Which is Great For the Hobbyists. We Listed Tools For Wire Wrapping on Perfboard to Create Circuit. Cite this article as: Abhishek Ghosh, "Create Own ATTiny 85 Arduino Based Wearables," in The Customize Windows, June 8, 2017, April 21, 2019, https://thecustomizewindows.com/2017/06/create-attiny85-arduino-based-wearables/.